Tuesday night millions of Americans witnessed an unprecedented surge in the proliferation of Reality Television. For the first time in history, the exact same Reality TV show was broadcast on every network – ABC, NBC, CBS & FOX – at the same exact time. In addition, it was also featured on CNN, MSNBC, FOX News and on any number of other cable outlets! Hi. I’m Rodney Lee Conover and for those of you who missed it – here’s my unabashed review. Full Disclosure: I’m running for Congress in California’s 8th District. I watched President Obama deliver the annual State of the Union address and as we’ve come to expect, the President, instead of a solemn opportunity to take a measure of where we are as a nation and as a people, delivered another made­-for­-TV entertainment event. An Executive Branch Reality Show and like most Reality television – completely contrived.. The President promised yet again to pivot to the economy, put our people back to work – vowing to rebuild the trust of the People in the government’s ability to provide solutions for all. But this is empty regardless of how many times or how eloquently he repeats them. Anyone with a modicum of awareness of real Reality just shakes their head while he’s explaining how America is now “Energy Independent” thanks to him..
.. Of course that’s because no one has to drive to work anymore – but he didn’t mention holding up the Keystone Pipeline. Must have slipped his mind. The President congratulated the Congress for passing a budget: The first in 4 years. It was a budget he described as undoing some of last year’s severe sequester cuts (his idea) to education. But he failed to mention the disgraceful cuts to veterans benefits included in the Ryan / Murray budget disaster. Speaking of which – John McCain has said that Republicans who opposed the budget deal lacked “intellectual integrity.” In fact, my opponent voted for that budget deal (which included those military pension cuts). I would have been opposed to it. In fact, I’ll make a promise to you right now. I will never vote to balance spending on the backs of our military. Never. 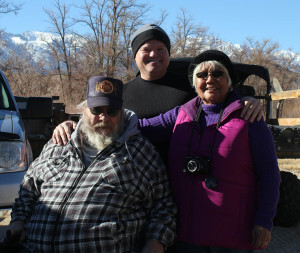 Bruce Cotton and Ann-Marie of Lone Pine, Ca. Vietnam veteran and hero of mine. Our veterans have earned not only their pension benefits, but also deserve the very best medical care possible. Further, they should be able to go to VA Clinics and Hospitals and speak freely about their needs without having to worry that some slip of the tongue will cause them to be denied any liberties or be deprived of their 2nd Amendment rights. The backlog of veterans waiting to be treated is inexcusable, and deserves the attention of our political leaders who pay lip service one moment, then cut retirement benefits the next. There are solutions to the problems our veterans face with getting proper medical care. Those solutions are not found in the single-­payer, single­-provider system model that the President and the Democrats intend to bring to the rest of the country with Obamacare. I believe that citizens should be able to choose their own healthcare, not the government. When the President promised us that if we liked our healthcare we could keep it, he knew that was not the case. Like millions of Californians, last October, I got a letter from my insurance company canceling my coverage, even though I liked it and wanted to keep it. The replacement coverage is more expensive, has a higher deductible and higher out­ of­ pocket costs. I also like my doctor of nine years, but he’s not compliant with the Affordable Care Act. So, Obamacare costs more and covers less. And it certainly hasn’t covered the 40 million uninsured that the President promised. We conservatives saw this coming, and fought a long hard fight to keep it from becoming law. But, elections have consequences, and without one single Republican vote, Obamacare became law. The final chance that we had to stop this train wreck happened last Fall when House Conservatives led a charge to de­fund Obamacare. In the end, establishment Republicans including my opponent voted to fully fund Obamacare and allow it to go forward. The President had very little to say about this signature achievement, and understandably so. 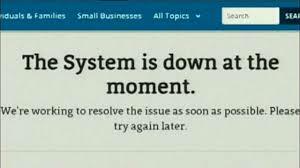 A botched roll-­out effort, a failed website, billions of dollars wasted, and still millions of Americans without coverage, or unsure if they even have coverage, gives little room for Mr. Obama to boast of the program’s success. It’s harder to understand why Establishment Republicans caved. The House controls the purse­strings and originates all spending bills. The Republicans own the majority in the House. Why would they give in? The framers of the Constitution gave the House under Article One the power and the duty to stop onerous legislation which was passed over the will of the people. Establishment Republicans don’t like change and they feel very threatened by anyone who is new to The Club. Just look at the way they have sabotaged Ted Cruz, and ridiculed Rand Paul. These are the same Establishment Republicans who vehemently opposed Ronald Reagan in 1980, but who had done a complete turnaround by 1984. The President may find an ally in these Establishment Republicans on issues like immigration reform, tax reform, and increased use of Executive Orders. I want to abolish the IRS – the most intrusive, coercive, and corrosive Federal agency ever. 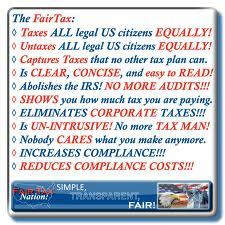 I would replace the tax code with The Fair Tax. Every American will become a voluntary taxpayer paying taxes when they choose and as much as they choose, by how they choose to spend their money. What could be more conservative than that? I will not vote for a pathway to citizenship for anyone in the country illegally as long as our borders are not secure, and there are millions and millions of American citizens who can’t find work, and millions more who have simply given up trying to find a job. And, I will continue to work to repeal and replace Obamacare with a system that champions first­class medical care and free­market principles that allows people to choose their doctors, choose their coverage, and make informed choices on private, competitive health insurance coverage. I’m Rodney Lee Conover. May God Bless you, and May God Bless the Great California Republic. I need your help and support. I’ll do all the work – it’s a fair deal: Take it. *Last Meal: Last meal requests no longer allowed. …to allow Gaius(Caligula) to live would prove the ruin of himself and of all men, and that he was rearing a viper for the Roman people and a Phaethon for the world. For the citizens of Texas, this murderous woman will no longer be able to harm anyone else after Wednesday the fifth of February. 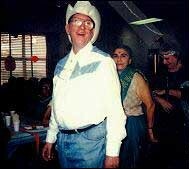 Basso’s role as kidnapper and ring leader of torture to death of a gentle, mentally challenged Louis Musso for financial gain was as brutal and sick a crime as any rational person could imagine. In the days leading up to his death, Musso suffered tremendous abuse at the hands of the appellant and her five co-defendants. The appellant would take Musso to the apartment of co-defendants Bernice Ahrens, Craig and Hope Ahrens (Bernice’s son and daughter), and Terence Singleton (Hope’s fiancé), where Musso was forced to remain seated or in a kneeling position on a plastic mat in the hallway for hours. Whenever Musso attempted to get off the mat, O’Malley would beat or kick him. O’Malley, Singleton, Bernice, and Craig beat Musso, and O’Malley, while wearing combat boots, kicked him repeatedly. The appellant beat Musso with a baseball bat on the buttocks, back, and groin area, and both she and Hope struck him with a belt and buckle. After hearing that Musso had been “misbehaving” while she was away from the apartment, the appellant, who weighed over 300 pounds, repeatedly jumped on top of Musso while he was on his hands and knees, causing him to fall flat on the ground. At one point, Musso requested that someone there call an ambulance. Even though Hope, as she later admitted, recognized the extent of Musso’s injuries, he received no medical attention. Someone (the evidence suggests either O’Malley or Singleton and Craig) bathed Musso in a solution of bleach and Pine-Sol cleaning fluid, using a wire brush on his body. Apparently, his killers were giving Musso this kind of “bath” when he died. 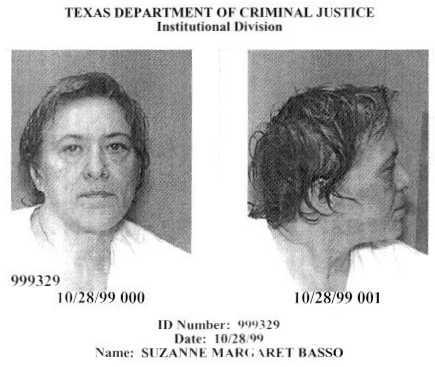 Basso has tried nearly every trick in the book to avoid her just execution, but they have all failed, even her attempt to appear delusional when her competency hearing was held. The harm this woman has caused so many, including to her own children, will end next week. Justice has taken far too long for this creature. …he knows what he likes. It has been nearly three weeks since the exciting OU victory in the 80th Sugar Bowl. The words classic or epic have been tossed around. There are numerous excellent OU video makers and many have been featured on various blog posts over recent years. While there are always videos of the previous season’s highlights and/or top ten or twenty plays of the year, the following video by onikuno is without a doubt one of the most perfectly mastered videos I’ve ever seen. Not only from the HD video clips, but the music and the pre-game comments from the alleged experts, along with a tasty addition of clips near the end. For a fifteen minute video it encapsulates the drama and the excitement of one of the most exciting college Bowl games I have seen OU play. Sooner fans young and old, male and female will remember this game for years to come. It’s a new year and first up for justice to be served is this creature for his twenty year old crime. *Last meal: Loser’s lunch, no special requests. Meal was the same served to all inmates that night: a grilled pork chop, corn, Spanish rice, refried beans, mixed greens, and cornbread, with a choice of punch, tea, or water to drink. Edgar Tamayo is a good example of why the death penalty is needed. He was an ILLEGAL alien from Mexico that shot a young HPD officer in the back of the head three times after being arrested for robbery. This case is also becoming another Vienna convention circle jerk, much like Humberto Leal in 2011 and Jose Medellin in 2008. The same tired arguments that were used then are being used now by Secretary of State John “Effing” Kerry. Texas has traveled this road before. It doesn’t matter where Tamayo’s native country is he came to Texas, ILLEGALLY, then committed the heinous crime of murder on one of our citizens, a police officer. Tamayo was accorded all the same rights our citizens are in our justice system and was found guilty by a Houston jury, then sentenced to die for his crime. I do not expect the board of pardons and paroles or Governor Perry to be moved by the international hand wringing from diplo-dinks or thug lovers. There is always the possibility that the Supreme Court might intercede, but I believe that unlikely as the Medellin case set a precedent nearly six years ago. Instead of worrying about how U.S. citizens might be treated in other countries as a result of this ILLEGAL alien’s execution, foreign nationals in this state (ILLEGAL or not) should be aware that we Texans will not tolerate our citizens being murdered. Expect much wailing and gnashing of teeth from the thug lovers, they are emboldened by the international diplo-dink involvement, along with some Latin groups and AmNasty Int’l. 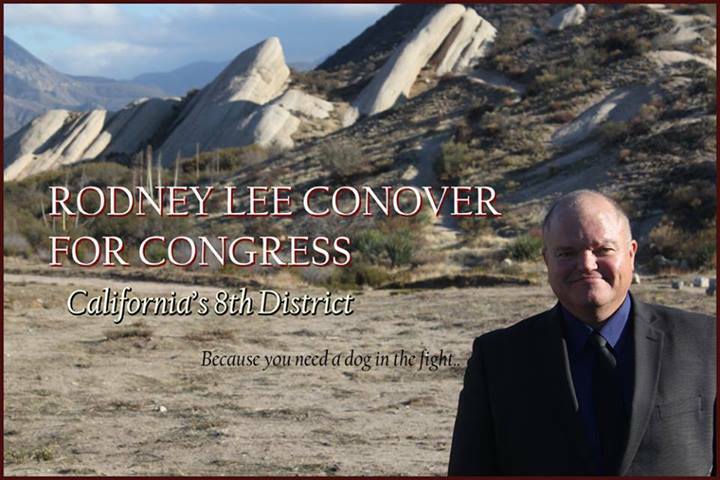 Rodney Lee Conover is a candidate for the U.S. House of Representatives in the 8th District of California. He was a writer for the Rush Limbaugh Show, a conservative stand-up comic for 12 years entertaining people and troops throughout the world, a talk-show host on SiriusXM for eight years and most recently, speech writer for Herman Cain and Joe “the Plumber” Wurzlebacher. While California does not have a congressional delegation that looks like Kansas, it also does not have a congressional delegation that looks like Connecticut. The 113th US Congress has 15 Republicans out of 53 congressional seats in the California delegation. The 103rd US Congress had 22 Republicans out of 52 congressional seats in the California delegation. The aftermath of the amnesty in 1986 and redistricting makes it hard to see Republicans gaining 8 seats, but they could gain 3 seats in a 2014 wave election. A new rule in the 2012 California elections had the top two primary candidates competing in the general elections instead of the top Republican competing against the top Democrat. This new rule had two Republicans competing in the general election for the 8th district seat. The Partisan Voter Index (PVI) for California’s 8th district is R+10. There are only 2 districts in the state with a better PVI than California’s 8th. Rodney is not running for office because he wants to be a career politician. If he lived in California’s 4th district, then he’d simply be voting to reelect Tom McClintock. California’s 4th district also has a PVI of R+10. There is a BIG difference in the performance of incumbent Tom McClintock and 8th district incumbent Paul Cook. Heritage Action Scorecard grades Tom McClintock 90% on key votes taken and grades Paul Cook 62%. Rodney is running because he believes a majority of conservatives in the 8th district are not getting represented by Cook and they deserve a dog in this fight. Rodney knows that just having an R after the name does not equate to being conservative. Gov. Schwarzeneggar is exhibit A. He is asking for a vote from those living in the 8th district, and money to support his campaign from anyone no matter what district you live in so conservatives will be represented. Victor Davis Hansen, NRO writer, sums up what conservatives think about living in California. What worries us in our beloved California is that a state with singular natural gifts (the best agricultural climate and soils in the world, vast ports facing the rich Pacific Rim, vibrant tourism, huge reserves of gas, oil, and timber), and a wonderful inheritance from our ancestors (the UC system, Caltech, Stanford, USC, the origins of the American idea of freeway transportation, brilliantly engineered hydroelectric and irrigation systems, and a mostly harmonious, skilled, multiethnic populace), has been so mismanaged, by both recent Republican and Democratic governors, as to result in chronic budget crises, terrible public schools, and a third of the nation’s welfare recipients, with nearly a fourth of the state’s residents ranked below the poverty level — the highest rate in the nation. Conservatives have not really “declared the state doomed” but have instead pointed out that it is in dire jeopardy — and not just because “the political balance shifted.” After all, a supposed Republican, Arnold Schwarzenegger, was recently governor for eight years. The real problem is math, not politics, and it finally caught up with us in terms of massive deficits and unsustainable aggregate debt. If you want more information about Rodney and want to support him, then visit his website here, and visit and click Like on his facebook page here. It has been almost three days since OU defeated Bama in the 2014 BCS Sugar Bowl, 45-31. I have read and listened to much both before and after the game, with numerous incongruous statements coming from the same alleged experts in both aspects. The only honest alleged expert, the bald headed Bama homer Paul Finebaum, admitted the day after the game that he was an “idiot” for saying Bama would win. I don’t care no more! You listening? I don’t care no more! Now for some personal admissions. Since this past summer I have made numerous posts about the Sooners and their season. I never made any predictions on game scores or the outcome of the season as a whole. I did make some fairly accurate statements about the players, their abilities and potential. I’m wise enough now not to invest too much into the games played by very young men and all the things that can happen during the season, such as injuries and discipline issues. Those things were evident this year with two players removed from the team that were expected to make significant contributions, as well as too many season ending injuries to some of the biggest contributors to the team’s success. Those occurrences are sadly part of the adversity a team has to contend with. I admit I was wrong when I said in a recent post that this season was a disappointment because there would be no conference championship, no shot at the MNC in Pasadena or even a BCS bowl. I was 50/50 in that statement. I made that statement prior to OU defeating OSU and being selected for the Sugar Bow and well before their victory. The disappointment I felt at that time was genuine, but not grounded in reality. I must also admit that from the moment it was announced that OU and Bama would play in the Sugar Bowl, I truly believed that OU could/would win. Sure I had my doubts, at times, but my gut feeling was that OU would win. I told family and friends not to count the Sooners out of this game. When (finally) it was time for the game and all the talking heads had made their predictions about how badly Bama would trounce OU, I felt very comfortable with the excitement, but not nervous or a feeling of dread. In fact, the only times I ever felt apprehensive or nervous before a game was before the two games OU lost this season. A message from a higher power? I don’t know, but it is a gut thing and I have learned to trust my gut feelings. As for the game itself, (OU highlights are here) if the OU QB Trevor Knight had played that way all year, OU would be playing in the MNC Monday night. His performance can only be described as phenomenal. Bama feared his running ability, but not his passing ability and rightly so, based on his performance through the regular season and Bama’s trouble with running QBs. The running game for OU was stifled for most of the game, but was serviceable. The OU defense, however, was sensational. I am still a little puzzled as to why Bama didn’t run the ball as much as they did during the regular season, but by trying to throw the ball, they played into the strength of the OU defense, the pass rush. Striker had to take his helmet off after sacking the Bama QB, his hair was on fire. In fact the entire OU defense had the same issue and for one simple reason, their DC Mike Stoops coaches with his hair on fire. With seven QB sacks, four forced turnovers and McCarron running for his life and throwing passes away due to pressure, the OU defense stifled a talented Bama offense that was unaccustomed to being harassed in this fashion. Bama racked up lots of yards, mostly on explosive plays and I wasn’t surprised by that outcome, nor do I think the Sooners were. They knew they were facing a talented and experienced team that many thought would be playing for the MNC for the third year in a row. The Sooners never fretted or sulked, they just fought and scrapped their way to victory, just as they had done all year. Coach Bob Stoops said he loved his team in the trophy presentation and his comment was sincere. I also believe this young OU team loves and believes in their coach. With only 14 of the 56 Sooners that saw action in the Sugar Bowl being Seniors, the potential for this team next year is exciting. One final note about winning and recruiting. Late Saturday afternoon, at the U.S. Army All-American Bowl, the games MVP and nations #1 all-purpose running back, Joe Mixon, announced he was committing to play for the Sooners. In a tweet he stated that the OU Sugar Bowl victory “shut the deal” as to which school he would attend. Winning, just like losing, is contagious. Everything always looks better when you win.